Home » Bath & Body » Make Cleopatra envious because the new Dove Body Wash nourishes better than a milk bath! Make Cleopatra envious because the new Dove Body Wash nourishes better than a milk bath! You know what? Times are hard. As much as we want to enjoy our fancy schmancy shower gels, the fact is that fancy schmancy shower gels can cost a pretty penny. What I do now is reserve them for a special treat. 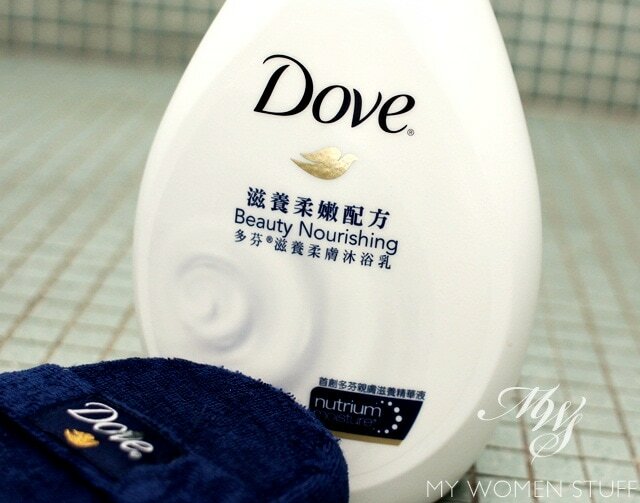 For daily use, I’ve been using an affordable oldie but goodie – Dove Body Wash! I have this in the variant Beauty Nourishing which is, I believe the “Original” version with the signature dark blue and white colours. There are other variants but call me old-fashioned – I never took to Dove’s other scents. I remember one that was cucumber scented in a light green bottle – anyone remember that? Didn’t appeal to me one bit. What I like about this new Dove Body Wash is that it has a luxuriously thick and creamy texture, rather like a lotion. It lathers up very very well, so I never use more than 1 pump or a little less. If you use a bath puff, use half a pump. It’s more than enough to clean your whole body, I can assure you! What I don’t quite like is the very strong perfumed scent that is the Dove signature scent. It is strong and powdery and doesn’t quite appeal to me. But there’s one thing I have to note – this body wash is kind to sensitive skin. I say so because I have very sensitive skin on my hands (not my face :P). My test for all bath and shower products is to see how the skin of my hands react to the product after a few uses. If it is harsh, then the skin of my hands will harden, dry and peel. Not a pretty sight I can tell you. I can’t touch detergents with bare hands. The effects are almost instantaneous! I can never quite say which I might react to. Many high end shower products cause this, as well as grocery stores brands. The only one so far that I go back to time and again when my hands act up is the Eucerin PH5 Wash Lotion. Now, I’ll add the Dove Body Wash to the mix. It’s been over a month and my hands are in pristine condition. No peeling nor dryness. Maybe it’s the NutrimMoisture™ at work nourishing my skin? I don’t know, but it works and this is already dragging on far too long for a review of a shower gel LOL! The new Dove Body Wash with NutrimMoisture™ claims to nourish your skin as it cleans. It isn’t drying, it doesn’t affect the sensitive skin of my hands, it cleans well and a little goes a long long way. The only thing I’m not crazy about is the powdery fragrance, but I’ll live. Here’s the ingredient list for anyone interested. 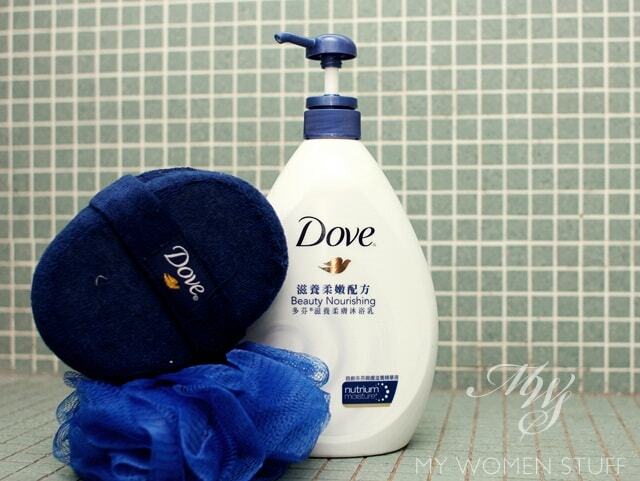 Have you been a Dove Body Wash user? Do you go for the original fragrance or the new-fangled ones? I actually dont quite like any body shampoos from Dove. I have sensitive fingers and toes, which is very drying too. I do not find Dove moistures but rather just cleans up my skin. I find Clean Me Up from Soap & Glory (sephora) not only smells heavenly, it is also moisturizing. With 500ml, I think it cost arnd rm40? Oh hello! This is the first time I’m meeting someone with the same sensitive hands that I have! 😀 I haven’t tried the Soap & Glory one but unlike many, I don’t quite like the scent in Soap & Glory products. Does it have the usual smell? Too true! I like the affordable bit LOL! Hmm…I’ve never tried Dove body washes before. Tried their shampoo and conditioner, and don’t quite fancy the scent. The signature Dove scent. Maybe that’s why I haven’t tried any of their body wash. I do like their deodorants though. The scented ones. The skin on my arms and legs do get dry easily, if I don’t pay attention to the body wash that I’m using. So, I tend to be quite picky. 😛 My absolute love are the Philosophy body washes. When I don’t feel like spending that much, I’d go for some drugstore brand. Current fav is the Caress Daily Silk. Smells so good, and doesn’t dry me out. You know, I can’t use Crabtree & Evelyn body washes too often because my hands hate them 🙁 So, I use them once a week or something, but if I’m ambitious and use them daily, I pay for it. Hope J&J cures your dry skin. They’re pretty good too! Ooh goody Issa! Happy to know it works for the whole family – cost effective! Unfortunately, I ‘ve never loved Dove. I think it does not clean off, and keeps leaving that film of something. Like a film of silicone, as if I didn’t wash off my hair conditioner properly. But it does seem like there is no silicone, from the ingredients list. haha, so I wonder what it is. I appreciate shea butter washes much better because it leaves the skin truly soft, but actually washes off. Hmm I don’t experience that, but then they can’t please everyone I’m sure 🙂 Maybe it’s that moisture thing that they say it contains? I’m not sure either – which shea butter body wash do you use? I’m not sure I’ve come across one yet. My HG body wash would def be Johnson&Johnson’s ph5.5 nourishing body wash, because they keep my back-acne at bay! I guess the milder/neutral the body wash is, the better it is for your skin. If I were to use normal bar soaps, or any other shower gels pimples would start sprouting all over my back it gets super frustrating at times. I like to use it in my morning shower to wake me up because the scent is quite refreshing. Strange that you find the scent on your body lingering. I find that it doesn’t mess with my regular perfume (EDP) or maybe that I’m too used to the Dove scent since I’ve been using their body washes for years! Hi Paris~ Haven’t tried the new and improved Dove Body Wash yet. I was a user of the old one (dark blue & white :D) once upon a time ago. I liked it then. Never got attracted to try the others. Hehe. Just the signature dark blue & white 😀 I will give the new and improved one a shot. I have sensitive skin too, and so far the best body wash for me is Johnson’s pH 5.5. Hehe. I’m currently trying out the Dove pomegranate body wash. Don’t like it. I find it heavily fragranced and not moisturising. In fact, a bit drying on my skin. Cleansing wise, so so too. Think i will go back to the classic johnson and johnson baby wash next. Remembered that i used to love the peach bath. J&J is truly a classic! I used to like their Chamomile and lavender one which was very lovely!